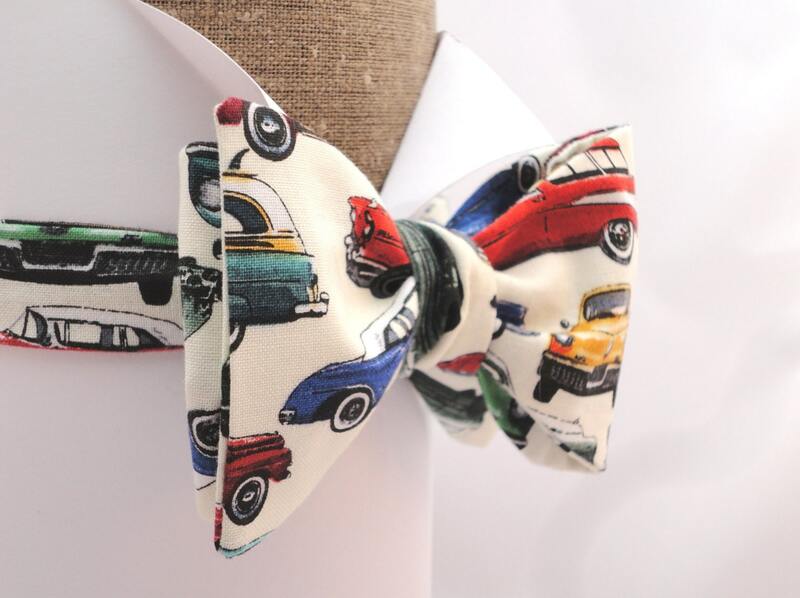 Men's Bow Ties. Bow Ties For Men. 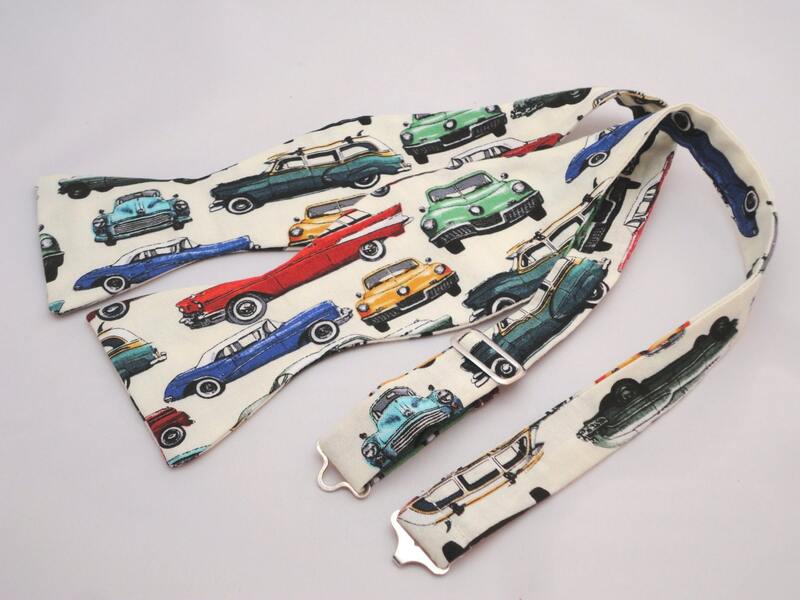 Classic car print self tie bow tie in 100% cotton, one size with adjustable neck band. Classic car print on an ivory background. 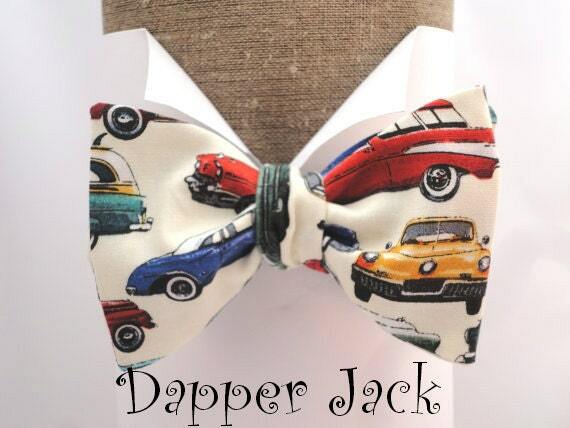 The bow tie is made from 100% cotton on an adjustable neck band. Print may vary due to the print design of the fabric.